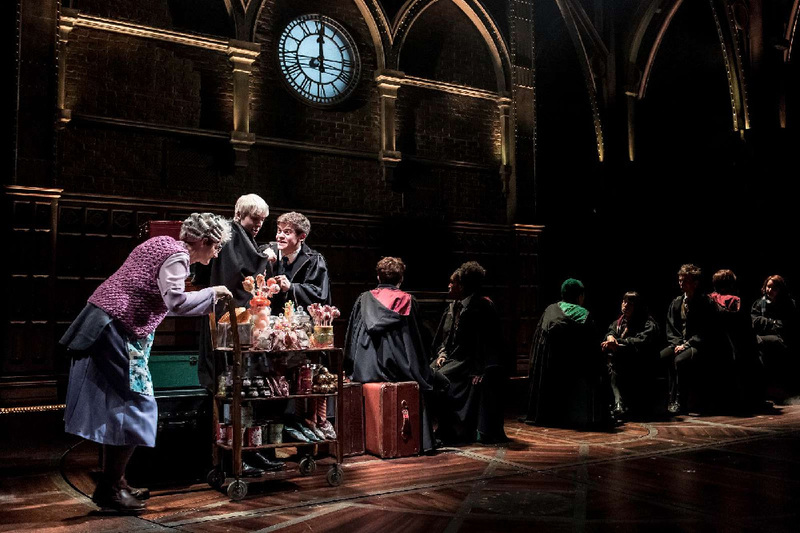 Harry Potter and the Cursed Child Pictures Have Arrived! Don’t worry, there are no spoilers in this post – we’re trying to #KeepTheSecrets too! 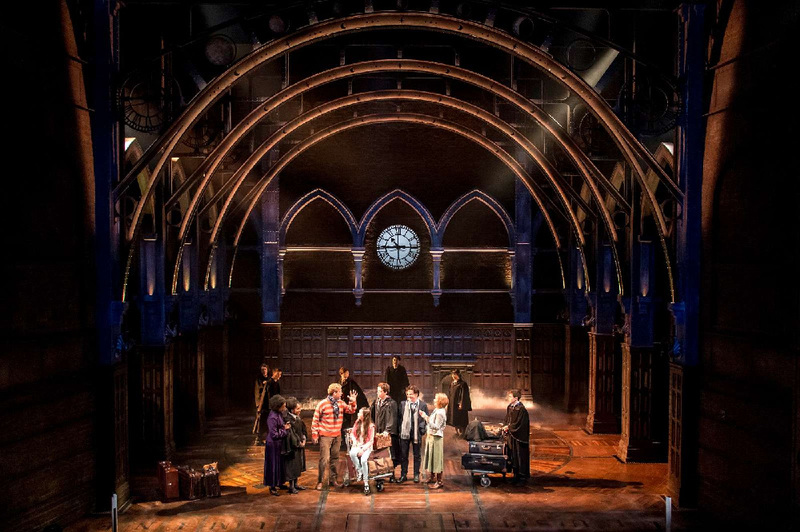 Harry Potter and the Cursed Child at the Palace Theatre has wowed critics and fans alike, and now we get a chance to get a peek at the Wizarding World created just for the stage. 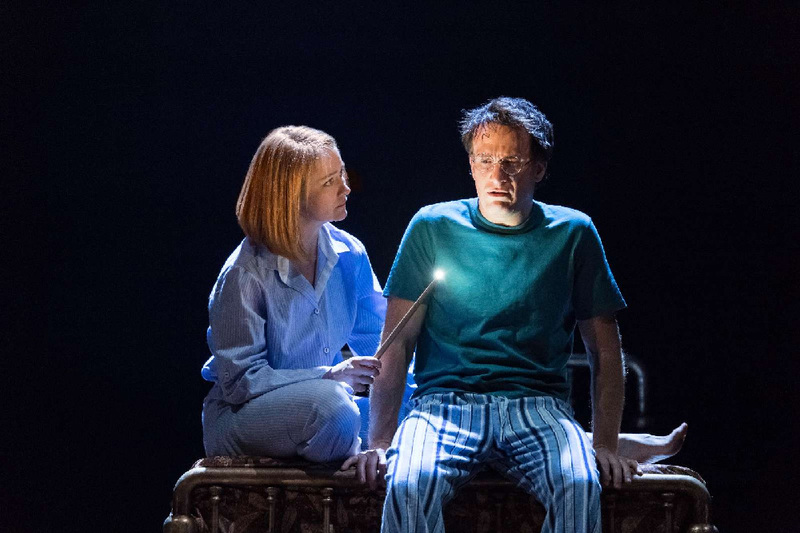 Original author for the Harry Potter series, J.K. Rowling, collaborated with Jack Thorne and John Tiffany to bring the next chapter of Harry’s journey to life. Now a Ministry of Magic employee, Harry finds life isn’t much easier than when he was hunting Horcruxes, because now he’s got three children. 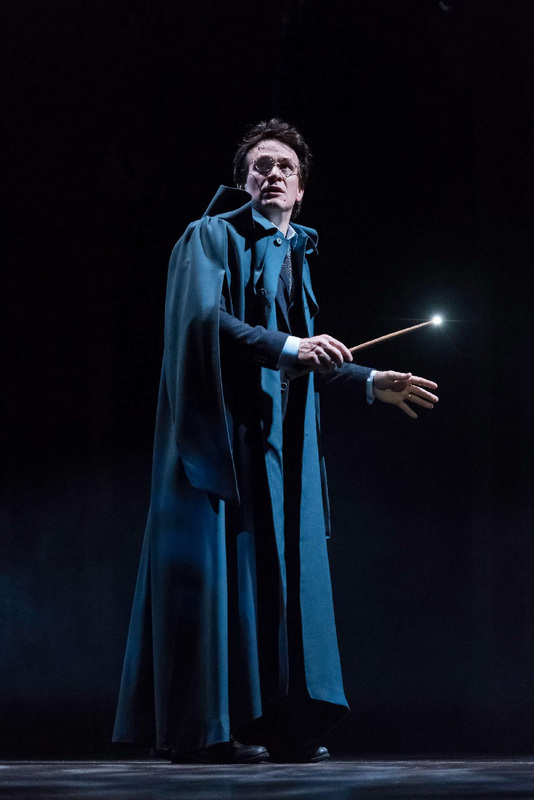 Harry struggled with the weight of his fame as a child but now he sees his youngest son, Albus Potter, feel the weight of his father’s legacy as the Boy Who Lived. 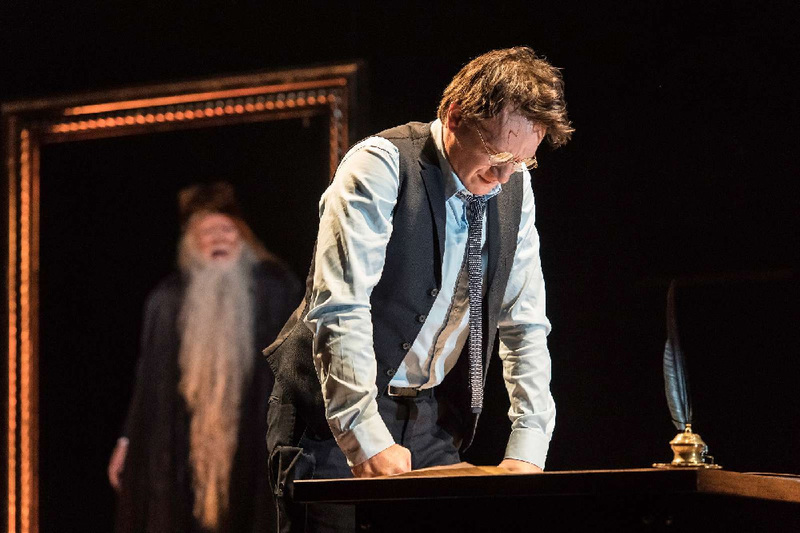 As Albus grows up, both he and his father learn that you can never be sure where darkness will come from. 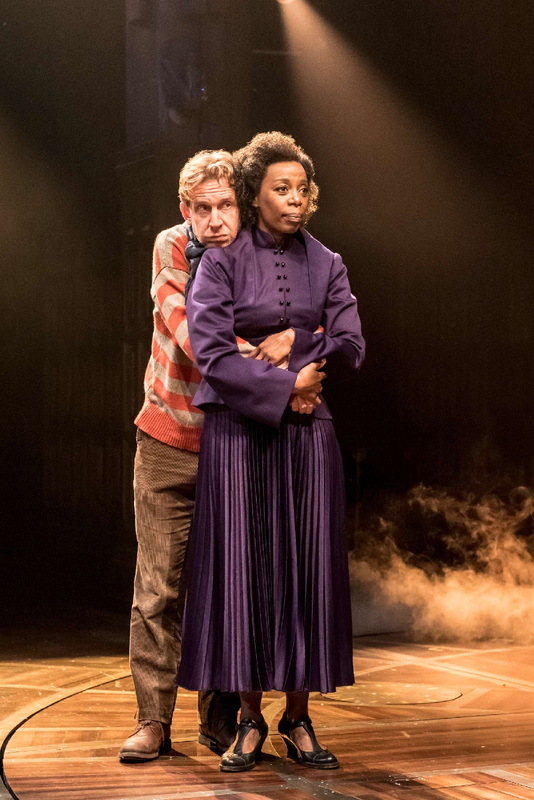 Jamie Parker (Guys and Dolls) stars as Harry Potter, Noma Dumezweni (Linda) is Hermione and Paul Thornley (Kiss Me Kate) plays Ron. 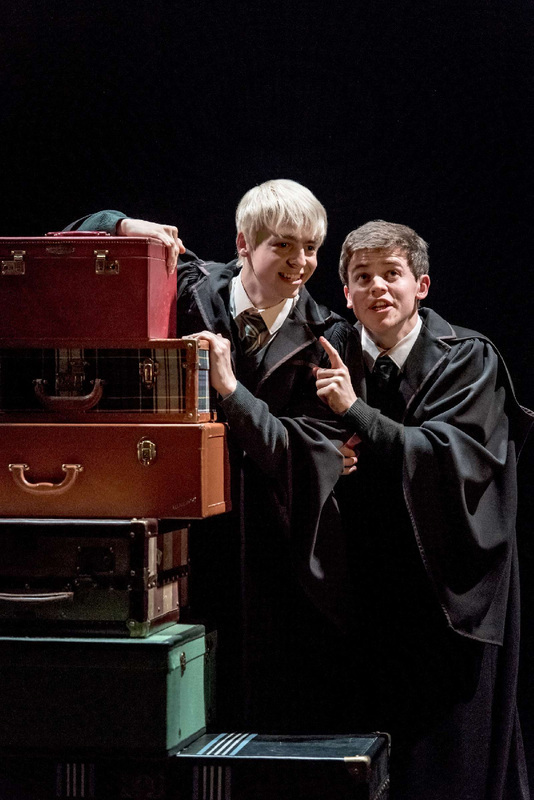 Anthony Boyle will take on the youngest Malfoy, Scorpius, and Sam Clemmett plays Albus Potter. 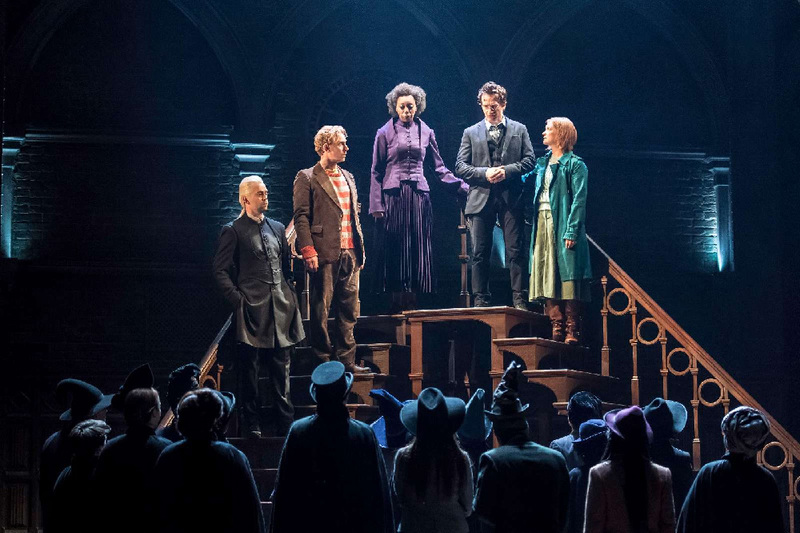 Check out these fantastic pictures from Harry Potter and the Cursed Child. Want more first looks? Get a sneak peek at Amber Riley performing a song from the upcoming Dreamgirls.